Although well intended, the movement to add more color to people's plate in the attempt to increase nutrient intake , ended up excluding one of the most nutrient dense foods in the plant kingdom. Cauliflower may be white but it is most definitely a disease fighting powerhouse. 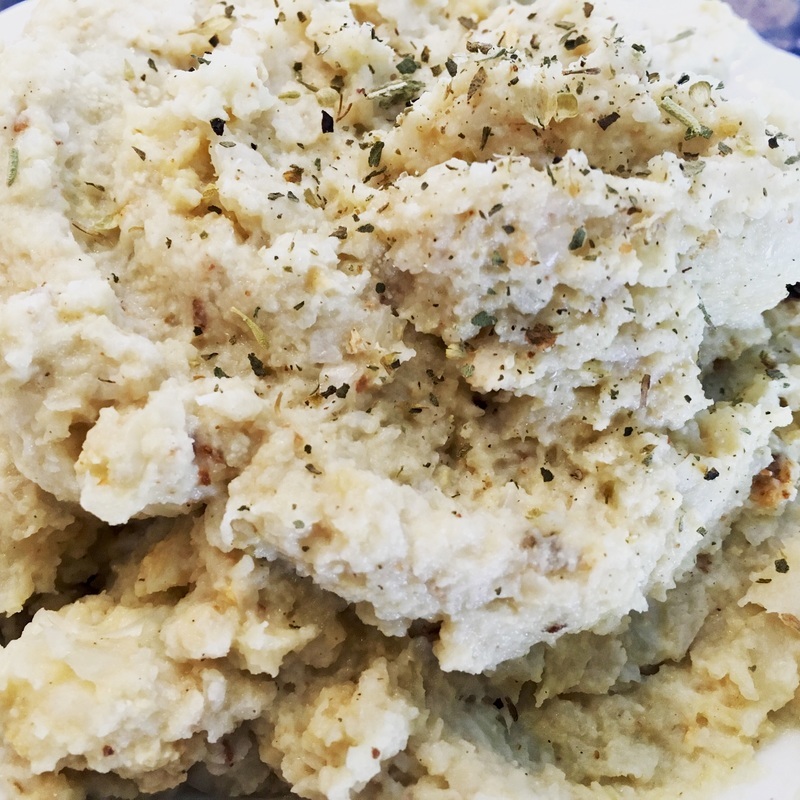 Cauliflower mash is one of the many ways to enjoy this versatile cruciferous vegetable. Many other recipes instruct the cook to either boil or steam the cauliflower. However, cauliflower is predominately made of water and the final product is thin and watery. Roasting allows for some dehydration of the excess water. The end result is a fluffy mash that has a texture similar to mashed potatoes. Nutritional yeast has a cheesy and rich taste that can lend an additional layer of flavor that is often difficult to achieve in vegan dishes. Parmesan cheese can substituted but will add extra calories to the dish. Directions: Preheat the oven to 350 degrees. Cut the florets from the cauliflower. Generously season with the garlic salt, pepper and herbs. Toss in the oil. Bake for 25 minutes. Transfer the cooked florets to the blender. Add the dairy alternative and puree. Scoop the mash into a serving bowl. For an even more savory flavor add the nutritional yeast and mix together.